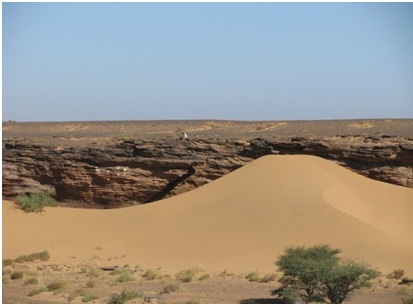 The development of arid landscapes in a particular area of a desert. The different classes of dunes and their characteristics. 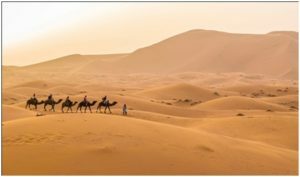 Having previously discussed the different examples of landscapes/patterns that can be found in the desert, we will give examples of the contrasts to be found in the varied landscapes. The different surface phenomena that can be found in the desert and their corresponding purposes. After several years of study, experts were amazed at how large a factor climate played in the progression of landform formation. Arid landscapes develop in numerous different ways and can vary by type, structure, and the history of the rocks. The term “arid” will be used frequently in this module as it ideally describes a desert environment. To wit, an arid landscape is an environment that has a tiny amount of rain – possibly no rain at all – which makes it too dehydrated for vegetation to be possible. 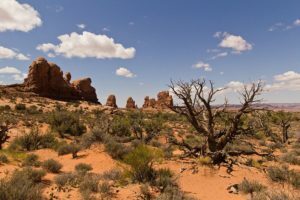 The variety of characteristics that arid landscapes can possess is largely determined by the climate and other factors that play a part in their formation. A drainage basin, usually found in a desert, is a region wherein precipitation, in the form of rainfall, hail, or snow, accumulates. Most of the drainage basins deplete the water they collect from precipitation into a common passage like a river, lake, or other small body of water. There are two main morpho-structural patterns of deserts, the basin type and the platform type. The basin type is commonly managed by mountain ranges and nearby lowlands with higher angle faults. The dissimilarity between altitudes is generally large enough to create more humid climates on the mountains compared to the nearby plains. This atmosphere creates pockets of cooler climate within a desert. Furthermore, this pattern results in a very significant and distinct feature, the alluvial fan, which is usually created by rivers that pass through the mountain-plain intersection. 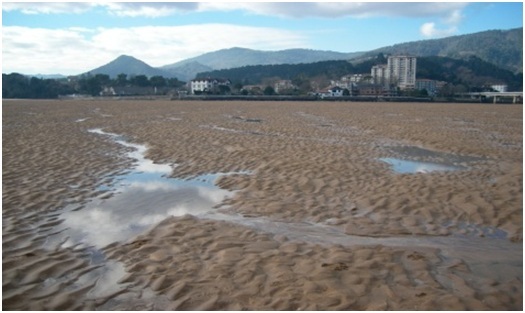 A large number of fan and playa deposits can fill the escarpment to its lowest point, which can be hundreds or even thousands of metres below. By contrast, within platform deserts, activity from tectonic plates is not a factor. These deserts are usually older with an insignificant difference in terms of altitude and without major mountain fronts. 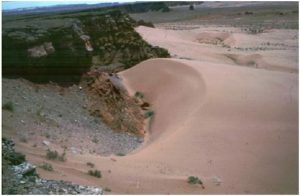 For these reasons, alluvial fans are not seen in platform deserts. Immobile Dunes – this type of dune is fixed on a certain area in the desert. Examples of this type are tied and coppice dunes. 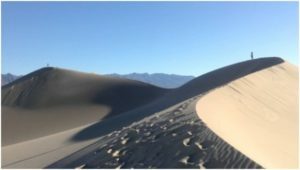 Mobile Dunes – this type of dune is uncontained to one area and has the ability to transfer from one place to another because of several factors, for example, wind. Examples of mobile dunes include transverse and longitudinal dunes. Lee dunes form when wind moves sand upon a blockage, forcing it to gather in a certain area on the side. Fore dunes form in a similar manner, but at the shore of a body of water, such as an ocean or bay. It is composed of sand that is amassed by the wind on the part of the shore where particular species of plants are abundant. Falling dunes form when a large deposit of sand is driven off a cliff face or steep slope, creating a sturdy wall, which slopes at a downward angle (hence, “falling” dune). 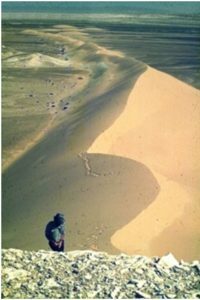 Climbing dunes are the opposite of falling dunes, in that they are formed by the wind stacking sand up against the slope of a mountain. Echo Dunes are usually the largest dunes in the desert and can reach more than 400 metres tall. Parabolic dunes will generally sprout up when the growth of plant life on the trimmings of a sand dune make the ends fixed while the inside part of the dune is unmoored and can move. Lunette Dunes resemble the shape of a crescent moon and are for the most part fixed. They generally can be found along the tip of playas and other arid land formations. Linguoid dunes have a lee-sloped surface with some curvature that produces laminae that are similar to catenary and sinuous waves of sand. Barchanoid dunes typically possesses a shape like a crescent moon that has either a convex or concave façade. Zibar dunes are part of the parabolic dune family, but they lack a visible slip face and are typically made up of sand that consists of very rough, large particles. 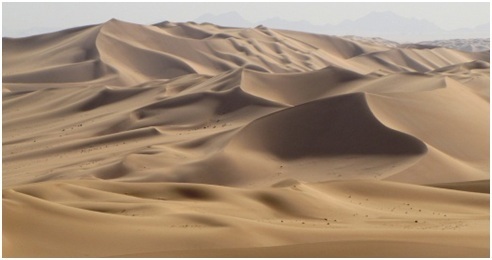 Draa dunes are very large, being capable of reaching hundreds of feet in height. They are usually seen by dunes that are smaller in size which have collected next to faces that are leeward and windward. Rhourd dunes are massive in size and can resemble the shape of a star or a pyramid. 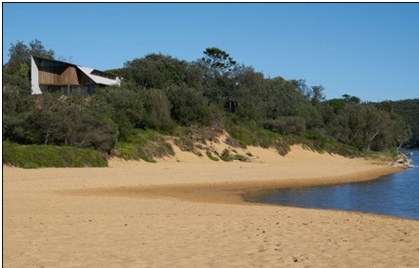 These dunes can accumulate sand up to 100 to 200 metres high and will sprout up when wind gusts from opposite directions cross paths while carrying large amounts of sand. Desert surfaces that are not hampered by the concentrated flow of water are still prone to the effects of numerous other processes. Studying these processes is very important for comprehending the different landscapes in deserts and their varied characteristics. To conclude, there are various types of landscapes that are formed because of contrasting conditions, like wind and the density of particles, and many other factors. Each type of dune has distinct characteristics that differentiate them from others.